The news on success rates for women applying for judicial office is encouraging. However, this appears in most part attributable to their success in securing fee paid ‘member’ (ie non-legal) appointments at First – tier Tribunal level. It is true that women are also increasingly successful in securing part-time judicial appointments at entry level (ie; First-tier Tribunal level), where they are represented in significant numbers. None of this indicates that we should expect a second woman judge in the Supreme Court (less so 50%) very soon (and it’s almost impossible to believe that in 2014 we’re talking about only a second female Supreme Court judge). It does, however, reveal the importance of the O’Brien case (part-time judges’ entitlement to pensions). Women, and indeed ethnic minorities, are present in far greater numbers amongst the part-time judiciary – especially at tribunal level. For some women this may provide the bulk of their annual income for some years. There are very few salaried part-time appointments. Pensions for the part-time judiciary are, therefore, especially important; not just because of the absence of equality for part-timers otherwise, but also because of the discriminatory effect otherwise on women members of the judiciary (who are much more likely to be part-time, non-salaried). It’s worth mentioning, perhaps, that it is said (I’ve no idea if it’s true but it seems plausible) that the need to fund such pensions may have contributed to the proposals to reduce the pension benefits available for full-time (predominantly male) senior judges. O’Brien shouldn’t be blamed for it (though in my experience some such judges openly express the view otherwise). O’Brien ensures equality for part-timers and most especially for women. What the Treasury/Ministry of Justice do about that is something else. Finally, notwithstanding the genuinely good news on tribunal appointments, the time must surely now have come for positive discrimination in the case of senior judicial appointments so as to ensure the adequate representation of women in the senior courts. After all, men have benefitted from it for decades. Isn’t it our turn? 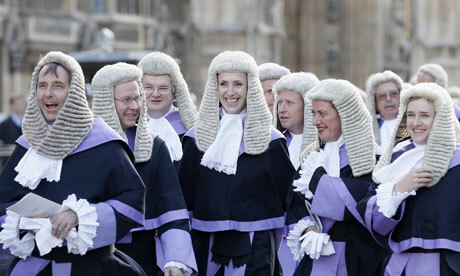 Leave a reply on "Female judges and judicial pensions"